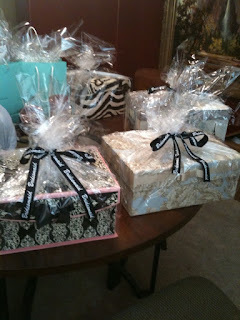 The bridal party gifts were really important to me... so I have been planning them for MONTHS! 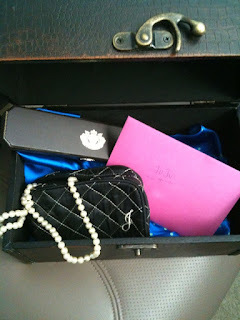 On the inside of each of their custom "boxes" I had a silk robe, a silk nightie, a Juicy Charm bracelet, pearl necklace and earrings for the wedding, a cosmetic bag with their initial on it, and a card. Each girl had a different looking box. I bought these boxes as I found them, and spent loads of time looking! I do not have all 7 of them pictured, but they all had the same stuff inside! I don't know if you can see... but the ribbon has the word "bridesmaid" written on it! TL did something very unique for each of his groomsmen. He had a really hard time finding something unique that he loved... so when he saw these custom made "bobble heads" he had to do it. For this to work, we had to get pictures of all of the groomsmen, a front picture, and side profile picture. They all look DEAD ON like the guys... its crazy! Our little Ring Bearer Jack is probably one of the most adorable 3 year olds I have ever seen... and he is absolutely in LOVE with the movie "Cars" and everything about cars for that matter. 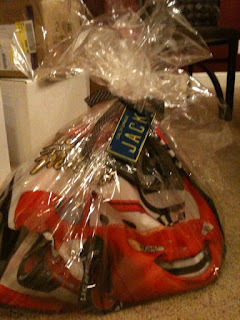 So, I did an entire Cars theme for him from a bunch of goodies from the Disney Store. 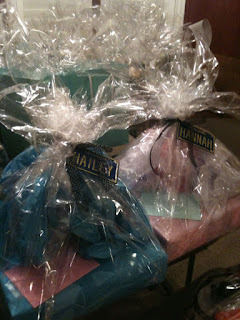 For my special attendants & reader (Michelle & Tare) I got them special little gifts from Tiffany's. 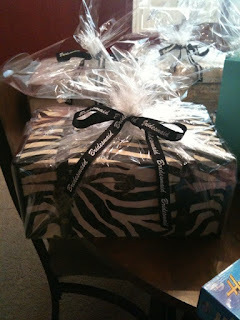 This is what they look like all wrapped up! :) I also included a card for each girl. And then for our amazing Ushers - Greyson, Matt, Trevor, and Kash, I did a fun beer mug with their names engraved and then stuffed and wrapped to look pretty! Men are so hard to get gifts for, but I figured this would be fun and unique with their names on it! We are doing some special gifts for our parents... but those involve plans for after the honeymoon! We feel so lucky to have had so many amazing people involved in our wedding. They all mean so much to us!! What fabulous gifts, you are amazing!! And I am loving these wedding posts by the way - you are clearly the Queen of Organisation to have done all this!! 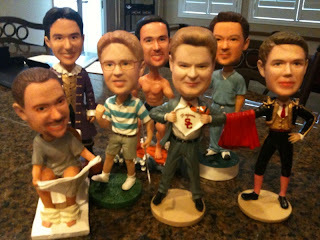 Those bobble heads are brilliant - so funny, I've never seen anything like that! Oh my Land!! Those bobbleheads are the BEST!! I have never seen anything like it. Your bridesmaids are so lucky too. To Have such a greatful friend like you. Wow, you guys went all out! It shows that you truly care for those special people in your lives! 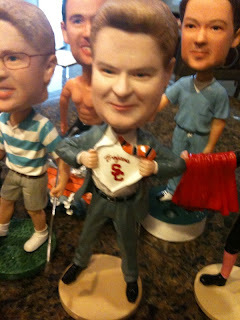 That bobblehead idea was fantastic! I may have to get one made for my hubby! Each gift is so personal and lovely, I cannot get over it! You guys did an AMAZING job with those gifts. Bravo! And you're so on your honeymoon right now, woo hoo! Great ideas! 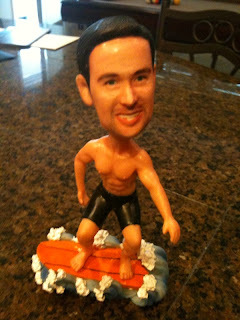 Jason and I did the personalized bobbleheads for our cake toppers:-) Love them! What great ideas! Those bobble heads are hilarious, I've never heard of being able to do that before. 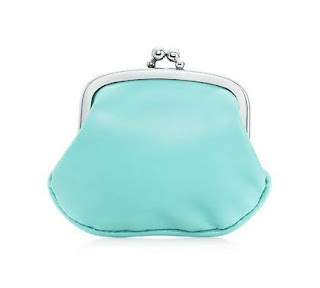 The bridesmaids gifts are adorable!! Your gifts look fabulous. I can tell how much thought you put into all of them. I'm loving those bobble heads! Those are incredible. I'm sure everyone was really impressed with your thoughtfulness and creativity. You MUST tell me where you got the bobbleheads!!!! My Future Mr is still looking for GM gifts! oh wow!!! these are amazing and so full of thought!!! i am sure these girls will be treasured for years to come!!! perfection! those bobble heads are the COOLEST!!! i want one! where did he get them made? 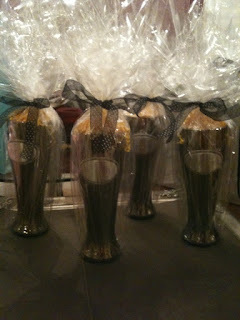 Wow these are awesome gifts-lucky bridesmaids!! 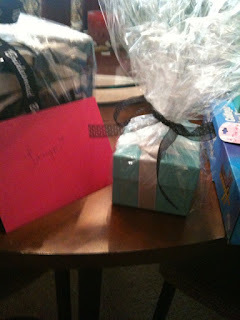 What generous, and thoughtful and beautiful gifts.... you are such an amazing person Tracy!! 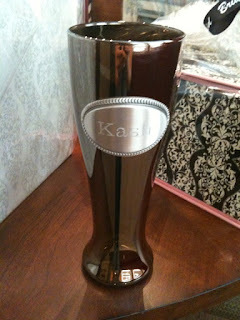 I love the idea of individualized bridesmaid gifts. And the bobble-heads are craaazy! I love them! Can you share where you got those made? You got incredible gifts for everyone! How sweet of you!! PLEASE tell us where you got the bobbleheads... Absolutely brilliant idea! I love the bobble heads! That is so creative! I would be cracking up! Your gifts are adorable and so thoughtful! The bobbleheads are hilarious, also! Great gifts and congrats! The dress was gorgeous!!! Aww, lovely gifts sweetie and those bobble heads are too funny and they do look super real! 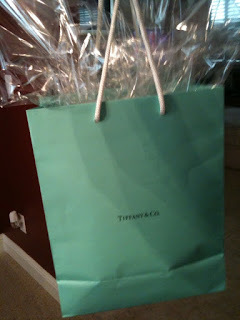 You gave such nice gifts to your girls, I love Tiffany's and I bet they were ecstatic about that! You can tell that you took a lot of time and thought in choosing the gifts for everyone ~ you did good girl! I love all your choices. 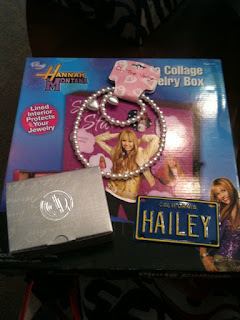 you are the best gift giver ever! Just came across! Seems as if you are still away on your honeymoon! Welcome Mrs. The best new adventure you will take!! Congrats..Excited to be a follower!! Hi! I just came across your blog from The Vintage Apple's website, and I have to know where you got those bobble heads!! They are fantastic. I'm getting married next year, and I love all of your wedding related posts - great ideas!